This product has been discontinued and is no longer available. Final. All steel and glass front windshield assembly with left hand vinyl covered steel frame door. Right side and rear black/clear poly vinyl panels. 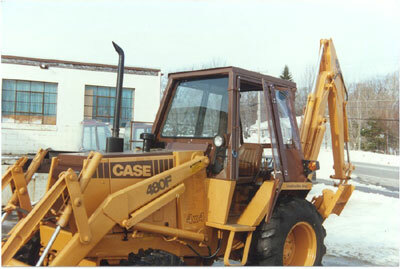 Converts tractors open ROPS station to an enclosed operators cab. Includes electric wiper motor assembly.